Today the MVS celebrates our 25th anniversary. Keith Newman who was a founder member writes about what the service means to him. I joined the MVS 25 years ago when the Royal Naval Auxiliary Service was disbanded. I wanted to keep the skills alive that I had gained in my time at sea and help in my local nautical community. I have seen many changes in the organisation during this time and enjoyed meeting new people and taking part in events such as the Tall Ships Race and the International Festival of the Sea. 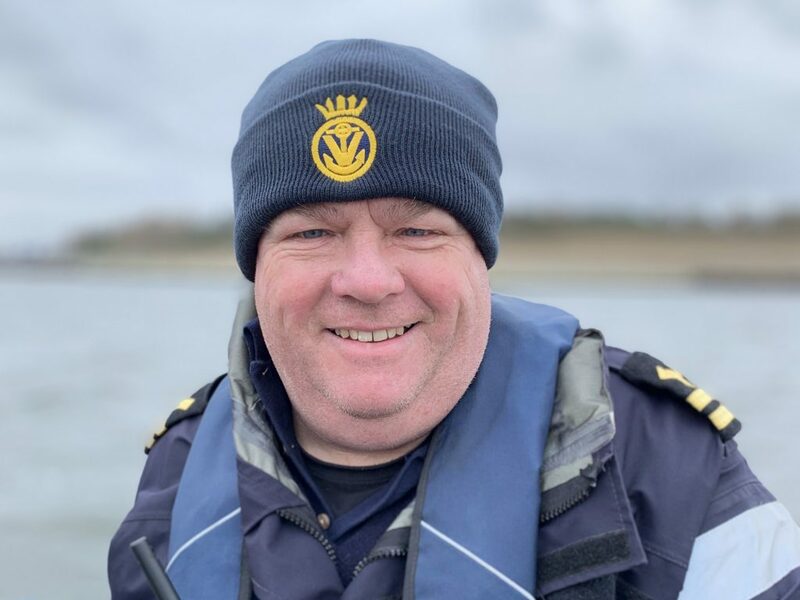 I now have a host of nautical qualifications including RYA Level 2 power boat, First Aid and VHF DSC radio plus a wealth of experience handling boats, liaising with other organisations and individuals and gained many lifelong friends throughout the country. Highlights of my time in the MVS include taking part in major river-based events and exercises, receiving the Maritime Service Medal and seeing people with no previous maritime experience learning and succeeding in the service and beyond. As the charity’s Public Relations Officer, it’s not always been plain sailing. As you’d expect with any organisation there have been some stormy situations that have needed all of my professional PR skills but I am confident that we are now on a straight course for the better where our members will learn, engage with the community and enjoy a great sense of achievement.